Today, I'm featuring the Awesomely Artistic stamp set by Stampin' Up! 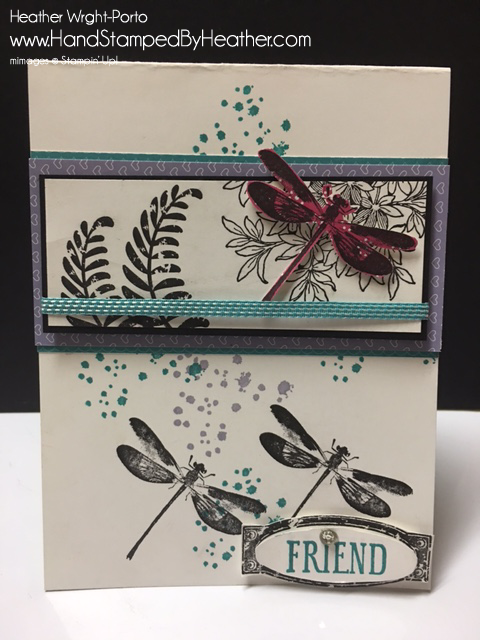 I love the color combo but honestly had a hard time this week as I wanted to use this stamp set. LOL....and my original design in my head didn't work out when on paper.....so.....this was the result. I think it works but had to add Black too. Enjoy! Used Basic Black for matting the focal frame and for stamping the images. So lots of black and white with splashes of Bermuda Bay and Wisteria Wonder on the card base. Focal frame is matted in black and then matted on Wisteria Wonder design series paper and again on Bermuda Bay designer series paper from the Have a Cuppa Designer Series paper (Occasions Catalog 201). Also used the Bermuda Bay 1/8 " stitched ribbon (Occasions Catalog 2016). Next on our Happy Stampers hop is Sandi MacIver --- she's back!!!!! 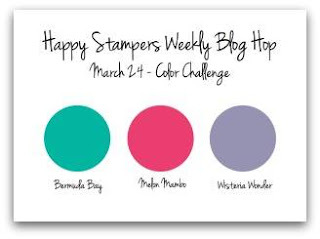 We'd love to have you join Sandi and I at Stamping and Blogging. 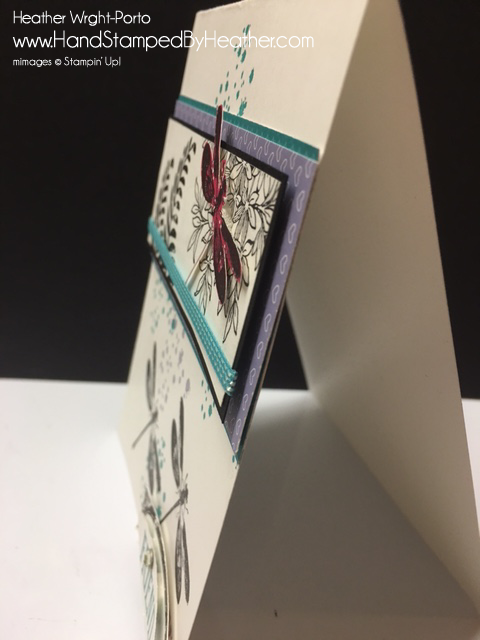 Snapshots of our last 3 card classes all featuring products from the Occasions Catalog 2016. Click here to learn more. Very pretty Heather! Love those dragonflies...especially the one in Melon Mambo. :) Perfect layering too! So, so pretty. Love the layout and how you designed the card. Well done. Great job on the layers!! Love the dragonflies, especially the Melon Mambo one. Well done.